The first and main thing is you should learn to do the simple maintenance procedures on your self. It may help you to reduce the maintenance costs of the vehicle. In this you need to pay for parts only, if you need to fix a complicated part to your vehicle. Frequent maintenance can help you to keep your car in good health and good condition, so, it may reduce the major maintenance costs. If you keep your vehicle’s fluids new and clean then it can help you reduce the future expenditure. You can bring your vehicle to a dealer’s repair shop when you have a serious problem. 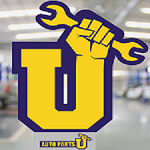 If you have any warranty for your vehicle then your vehicle gets service of the certified mechanic. So for this, you check out the requirements of the warranty of your vehicle. You can get warranty when you purchase new tires, if your vehicle has any problem with tires then you can get it repaired without paying money. But, you should keep the warranty receipt safely. No need to use expensive oil unless car engine needs it, when you want to change the oil. The following jobs of maintenance can be done on your own, such as: check the fluid levels for coolant, oil, power steering fluid, etc., replacing the wipers, maintaining proper tire pressure. So in this way, you can reduce the maintenance costs of your vehicle. The important thing is you try to solve the problem when they are small, do not wait until they become big and increase repair cost.